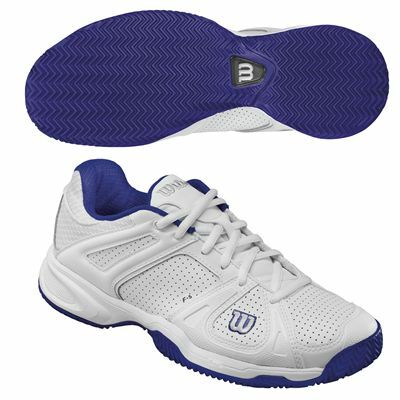 The Wilson Stance Clay womens tennis shoes feature the R-dst in the heel and forefoot for great cushioning and rebound. These clay court shoes are designed for the avid player and offer the Die cut PU forefoot piece (2D-F.s) for stability and excellent responsiveness. They also feature the new all court Duralast outsole for durability and traction, as well as the Dynamic Feel heel-toe drop 9mm ensuring fantastic cushioning and quick reaction. In addition, the Outrigger geometry at the outside of the foot provides extra stability. for submitting product review about Wilson Stance Clay Womens Tennis Shoes.